An App For Homework? - Be your best teacher! Every teacher wonders – how many students are actually doing their assigned homework?? Surely a certain percentage of students are copying or getting excessive help via social media. 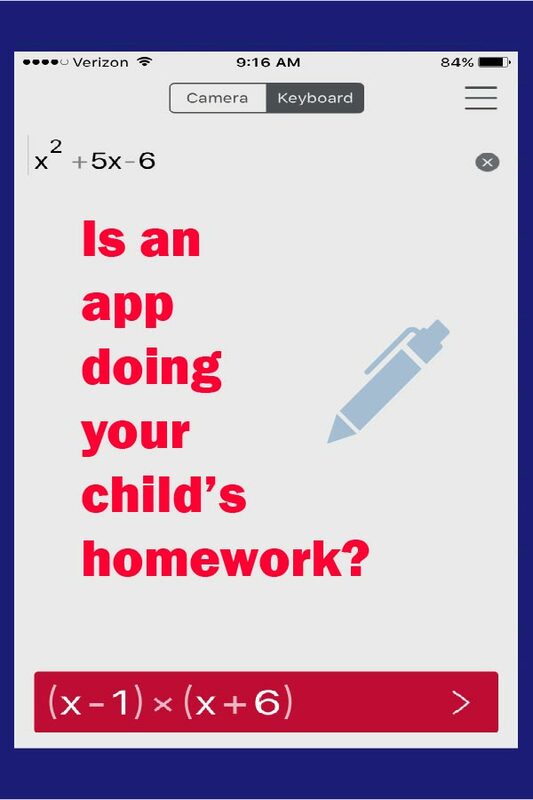 BUT… several apps introduced over the last few years take homework “help” to a whole new level! Have you heard of Photomath? Below is my trial of the free Photomath app which is terrific at solving math problems. Answers seekers can type in or snap a picture of a problem and the solution is immediately returned. Wow! Where was this when I went to high school? What is on your child’s phone? Previous Post Create your own fascinating fireworks!